Home » Summer means Peach & Nectarine Season! Juicy Peaches and Sweet Nectarines! Ready for tasting and picking from December 1st! Join a Fruit Tasting Tour to pick your own straight from the tree, or grab a pack of peaches or nectarines from our farm shop in the cafe! Sweet and juicy peaches and nectarines. Stonefruit is the taste of summer, and Rayners Orchard has plenty to choose from — dozens of varieties ready for sampling on fruit tasting tours and for picking from December onwards. Also available to purchase from the farm shop in small quantities. Experience the sumptuous flavours of tree ripened peaches and nectarines, bursting with flavour, grown without pesticides and insecticides so you can eat them straight from the tree. If you have only ever eaten stone fruit from a supermarket, you will be amazed with the fruit you taste on Rayners Orchard. Rayners Orchard run fruit tasting adventure tours every day on demand – no bookings required. Tours run for an hour each, and include lots of fruit samples, picked straight from the tree during the tour. U Pick is optional during tours. Open seven days over summer 9:00am to 5:00pm (closed Christmas Day). 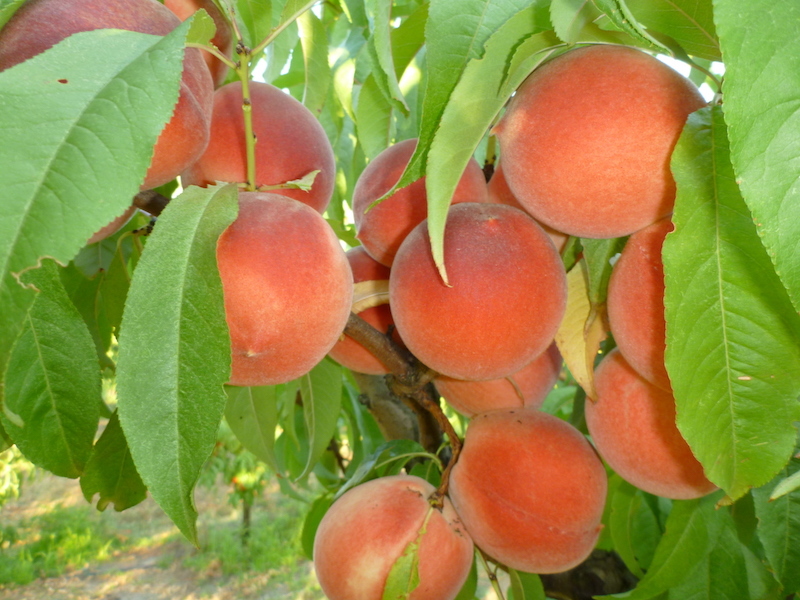 Please note peaches and nectarines are a seasonal fruit, and may finish up a few weeks early if the crop is not heavy throughout the season, or they are all picked out. Please check the website and Facebook page to make sure they are still available until end of March.